Orig. Photo (c) 2012 Timothy Lee, used with permission. In-coming!!! Hit the deck it’s time for another AirborneAngler interview! Our guest comes to us not far from the reporting sounds of rifles and gun fire. 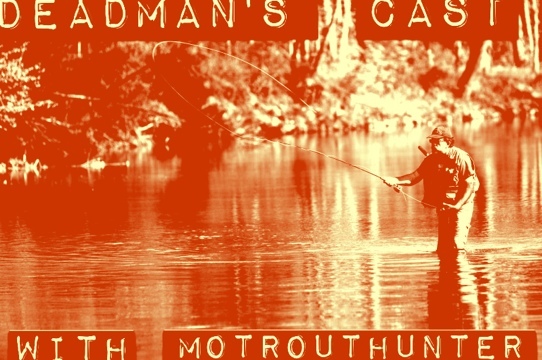 This week we have Walt Fulps as he checks in to check fire for Deadman’s Cast. 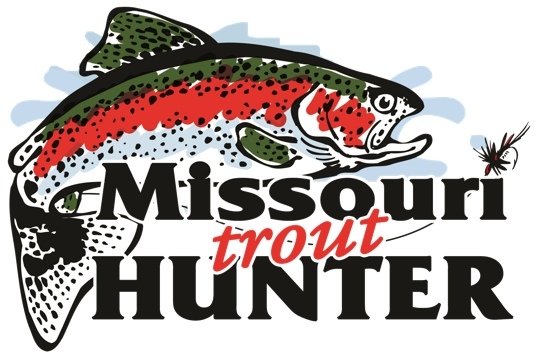 Living not far from Fort Leonard Wood, Missouri- the twitter dubbed @MOTroutHunter guides and lives on the water. AirborneAngler (AA): Walt, thank you for making time for the Airborne. I do appreciate it, but this is still Deadman’s Cast. So, I am still going to hypothetically pen and ink you into the after life. How do you feel about that? AA: Great, glad you’re excited. Now, your twitter profile states you’re a fly fishing guide, instructor, writer, and taxidermist. What is the most interesting thing you’ve taxidermied? Is that the word? WF: Probably not in the dictionary, but there definitely needs to be an active verb for the practice, doesn’t there? I’ve done quite a few cool things over the years – elk, mountain goat, bighorns, etc. The most interesting would have to be an armadillo. Never doing that again. What a pain. I still get the occasional phone call from someone asking for strange mounts, like a squirrel rowing a tiny canoe, or a raccoon kicking back drinking a beer. It sounds like a great idea, until I quote them a price. For most folks, taxidermy is too expensive to use as as a mediocre punch line. AA: Interesting. I suddenly really want a squirrel rowing a canoe. When I need one I will let you know. Now, I fished some of your home waters and it was a great time- but I didn’t see any canoeing squirrels. If I let you choose the body of water you go out on would it be a Missouri body of water? Or a stream bed somewhere else? WF: To be honest, I’m not all that picky. My perfect trout stream, of course, has to give me at least a fairly decent chance at catching some trout. But the #1 thing I enjoy is the scenery, the wildlife, and being ALONE. It’s hard to fine privacy on Missouri trout streams sometime. So, I’d probably head to rugged terrain with a ton of wadable streams. The Smokies, the Rockies, Northern California, maybe someplace WAAY up north somewhere. And preferably someplace I’ve never been and know very little about. I really dig trying to figure a place out. AA: Ok, let’s say we toss you up into North Cal and get you on a good trout stream all alone. Nothing but you and the Sierra Nevada’s and the bears. Being in the state of the Golden Bears- lets say you run into one and it eats you whole. This happens just after catching the trout of a life time! What was your go-to/favorite fly that landed you your dream fish? WF: Loaded question! While I’m not a fan of fishing a big hatch (I’m weird that way, I guess), I certainly do enjoy fishing dries and terrestrials. I’m especially fond of throwing great big terrestrials like a Dave’s Hopper. In fact, fishing a big grasshopper pattern during the summer is probably my overall favorite style of fishing, and I bet I’ve caught 1/3 of my REALLY big fish just that way. But, since it may not be summertime when the bear eats me… Streamer fishing can be great fun when the fish are feeding aggressively, but it takes me away from what I feel is the more delicate nature of fly fishing. So, I’m probably nymphing, and I’m probably fishing a two-fly rig (is that allowed?). AA: Its your funeral so of course it is. WF: Well then, my lead fly is going the more obvious, often obnoxiously obvious, fly – something like an egg pattern, a bright yellow wooly worm, or maybe big ugly nymph. My trailer fly will be a more subtle pattern meant to reproduce food the trout are eating everyday. So, let’s say a size 12 Gold-ribbed Hare’s Ear with rubber legs trailed by a size 20 black midge larvae. Of course, adjust the specific fly selection to the specific river of my demise! AA: So, then what’s your take on fly fishing as a whole? Do only those who dry fly upstream make it into the pearly gates? Or does throwing wet streamers send you straight to hell? WF: Oh, heck no. Catch the freaking fish! Everybody has their preferences. I’m most commonly nymphing upstream, mending, working a clean drift, swinging out, and picking it up slowly. That said, I’ll throw streamers, dries, emergers, whatever I think will get the job done. I know plenty of hyper-purists out there that are shooting themselves in the foot, and I’ve had some funny interactions with them. For example, there was the client who refused to fish an egg fly, even though that was THE hot fly the week of his trip. So, I bumped him down to an obvious nymph (a big stonefly, if I remember right), which he also shunned. He ultimately ignored my advice and fished small nymphs like zebra midges and #18 copper johns most of the day with very little luck. When we ran out of time and started heading back toward the truck, I decided I’d fish along behind him with the yellow egg fly I’d pitched to him earlier in the day. I caught three fish during our 20-minute walk back downstream, which was more fish than he’d caught all day. After I hooked fish #2, I asked again if he’d like to try an egg fly, but he declined. “No thanks. I’m just happy to be on the river on such a beautiful day.” Glad he had the right attitude, but I have a sneaking suspicion he added egg flies to his box before his next fishing trip. AA: Just happy to be on the river? Yeah, he lied. Probably fishing them now. Well, after several hours of eating you whole the bear in question keels over and dies. Serves him right. However the park ranger who found the bear can clearly see something (You!) inside. After an autopsy they find you inside. What do you want done with your remains? a) cremated and ashes spread over the water? b) cremated with the bear as you are now one and spread over the water? c) sent home close casket and private service? d) have taxidermy work done on you and the bear posed in your final moments? WF: I would never wish that kind of taxidermy job on any of my colleagues! It’s bad enough when someone drags his deer two miles down a dry creek bed to his truck and then expects to me magically repair the resultant bald spots on his mount. That said, I don’t care what they do with me, but I would love for my friends to get together and have a bear BBQ in my honor with a keg or two of home brew from the Public House Brewery right here in Rolla. It bears noting (pun only partially intended) that it must be Kansas City BBQ – plenty of molasses in the sauce! AA: Fair enough, I would be interested in bear brisket- bring it on! Lastly, on hearing of your demise the local fly shop, guide customers, and readers erect a MOTroutHunter memorial in your name. Three parts, what is it of? What does the inscription say? And where do they place it? You can follow Walt before the afterlife on Facebook, Twitter at @MOTroutHunter and/or set up a guided trip, or request a taxidermied-canoe-rowing squirrel on missouritrouthunter.com. Until next time- I am signing off. I’m sure you taught him better than to go out like that- but it does happen so go easy on him. Thank you much!